Rohr Jewelers is an independent full-service jewelry store. Sam Hill is a Graduate Gemologist from the Gemological Institute of America, graduating in 1998. Since that time Sam has developed an expertise and passion for pearls, along with staying up to date on the ever-changing world of gems and gemology. Sam Hill, owner of Rohr Jewelers, does about 95% of jewelry repairs on premise. He works with silver, gold, and platinum metals. 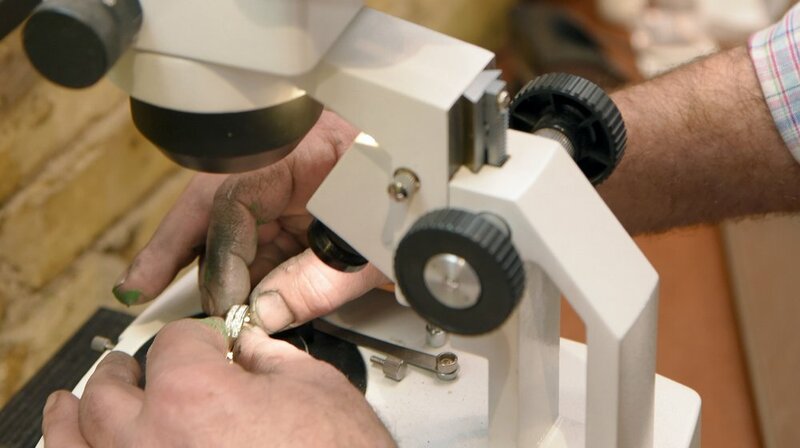 Sam is a knowledgeable craftsman with over 20 years experience in jewelry repair. Appraisals are done on site by our qualified staff. Considerable time is spent by researching and reviewing each piece to ensure an accurate appraisal. Have something in mind? We would love to help turn your vision into a true work of art.